With the rise of the geodesic dome tent, the geodesic dome tent has an important part in the application. 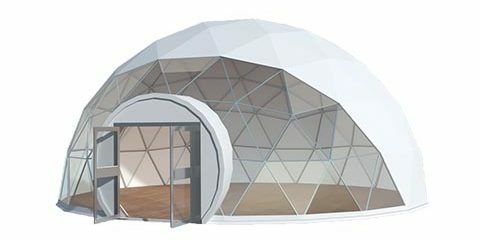 We redesign the geodesic dome tent, with a special projection fabric inside. 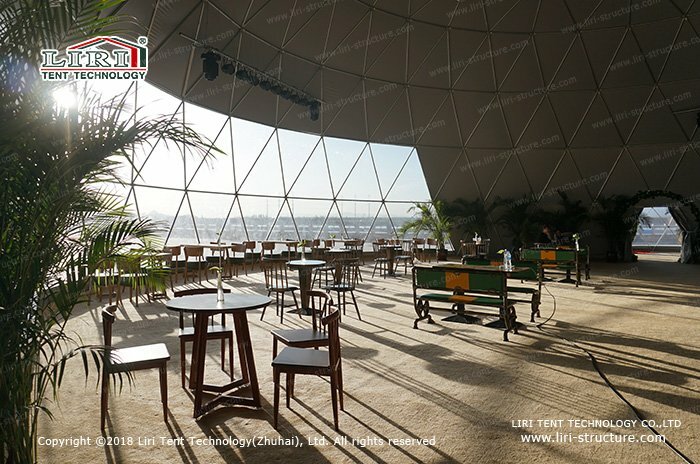 Using the dome structure of the geodesic dome tent, through projection, lighting, sound, etc., projecting pictures, videos, movies, games, and other media inside the geodesic dome tent to create a real-time panoramic immersive space. 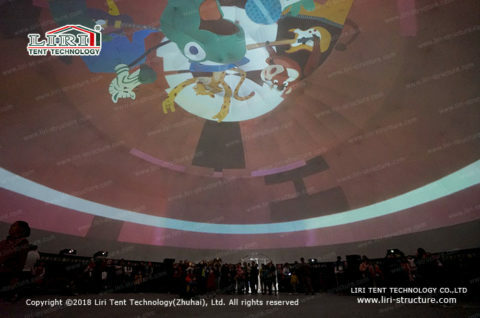 The projection mapping geodesic dome can be used in a variety of fields such as astronomy, entertainment, technology, corporate events, and dome theaters. 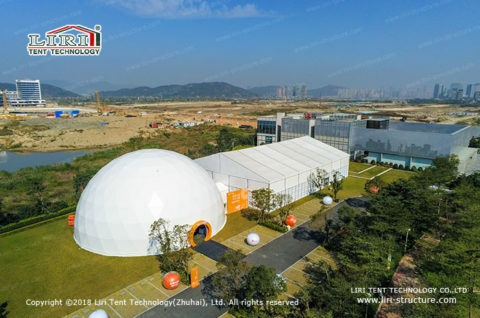 For the event, whether it is the theme display or the brand effect, the projection mapping geodesic dome for the event has played a huge role. 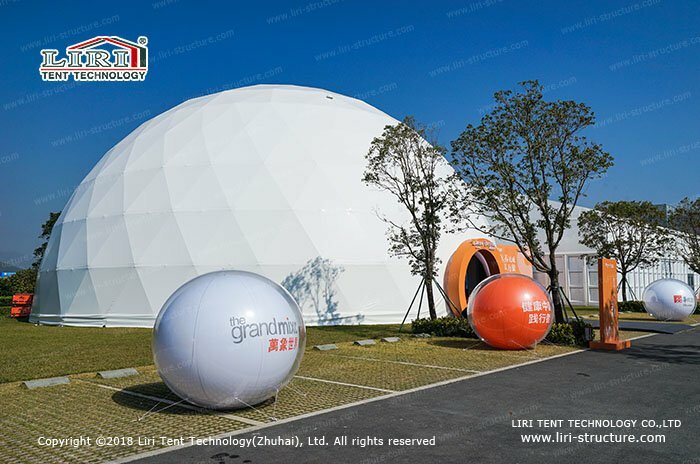 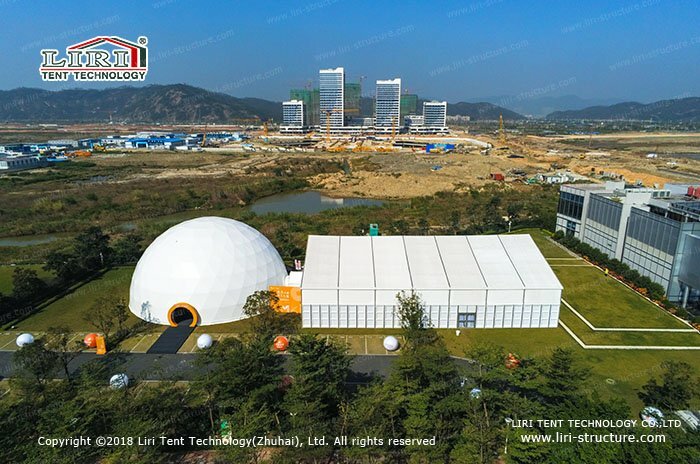 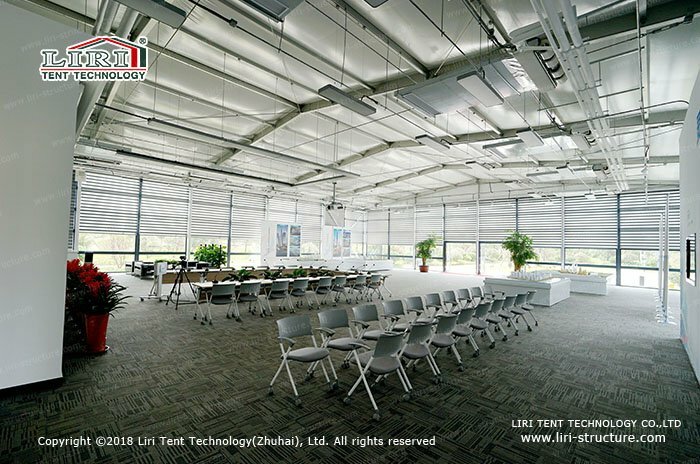 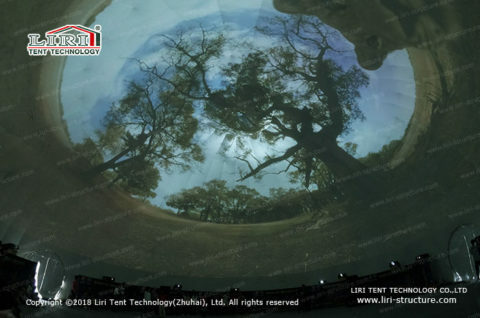 Recently, Liri Tent provided a company with a projection mapping geodesic dome tent for activities. 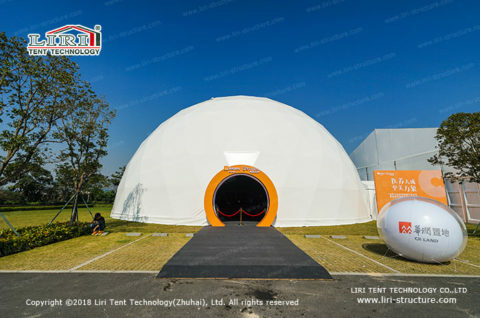 The tent is 30 meters in diameter. 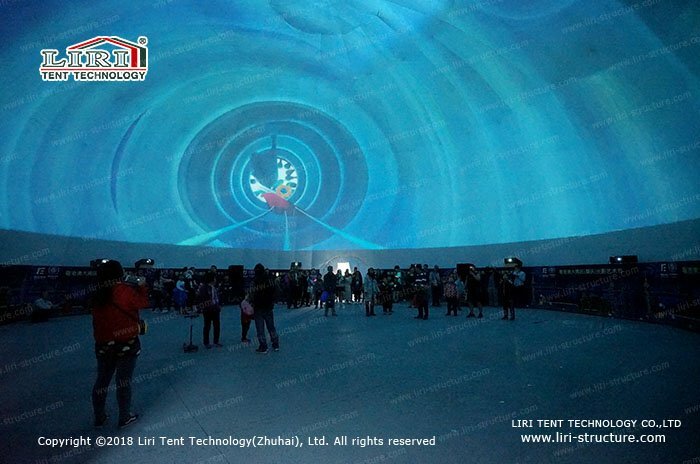 Through multiple projection and lighting equipment, the theme of the event is projected onto the fabric inside the tent through a wide angle. 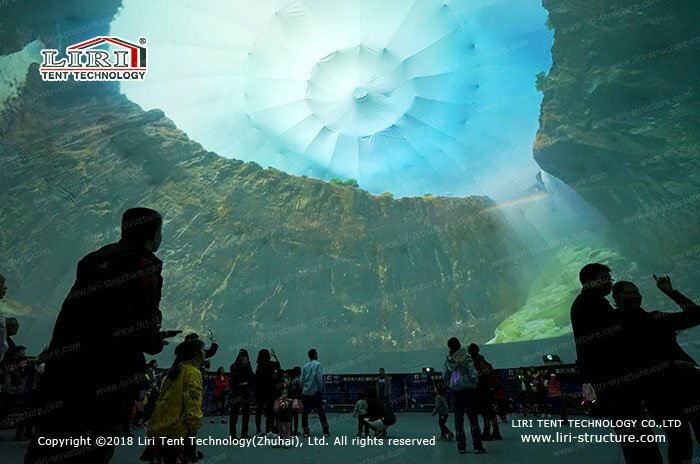 This cool screen projection effect provides a full range of enveloping space for incoming guests. 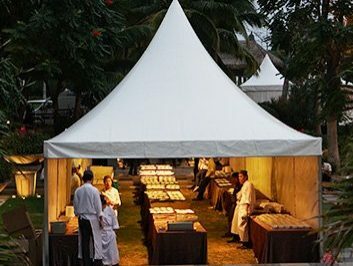 The flowing lights and images greatly enhance the modernity of the event and are impressive. Projection mapping on domes achieves a new combination with technology. 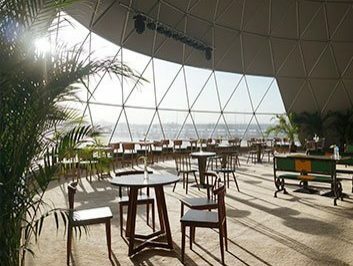 The geodesic dome tent surface design combines and releases various elements such as light and shadow. We can customize your dome projection solution to improve the application value of the geodesic dome tent. The internal projection mode of the dome tent will be better applied to the development of technology in the future. 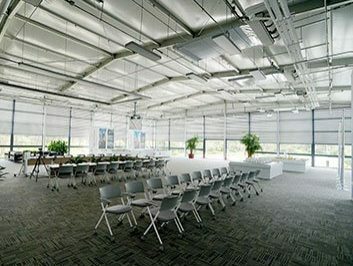 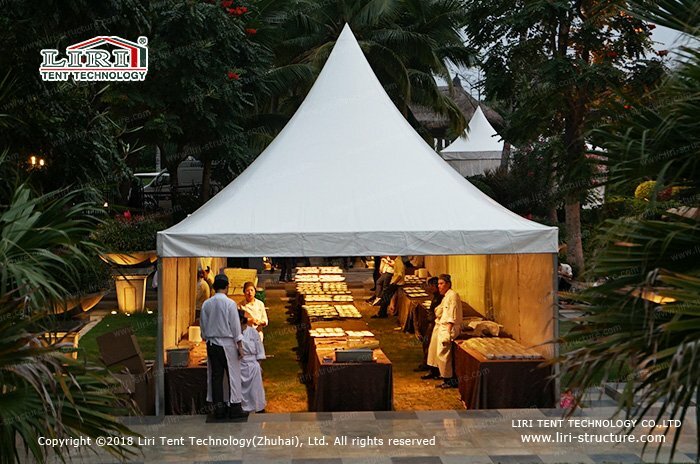 Liri Tent is committed to creating more creative event marquees, contact us for more product solutions and quotations.